Getting married is such an exciting experience, and we believe every moment of this journey should be savored. 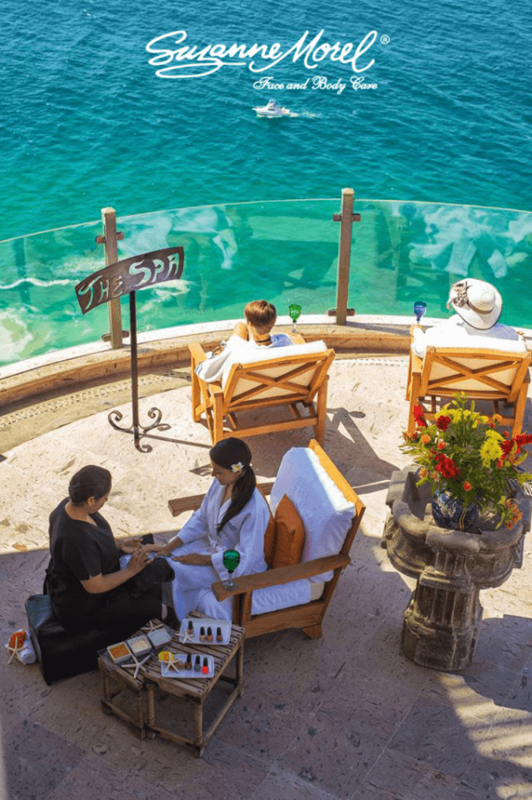 What better way to treat yourself when you arrive in Los Cabos than a pre-wedding spa party with your girls? Our expert spa therapists can pamper Grandma, Mom, your best friends, new sister-in-law and even the little flower girls with a relaxing massage, perfect mani/pedi or gentle refreshing facial to get your entire bridal party wedding-ready! And we do it all in the convenient privacy of your villa or suite! As your wedding day gets closer, don’t forget to schedule a trial run at our salon to make sure your hair and make-up is just the way you want it for your big day. 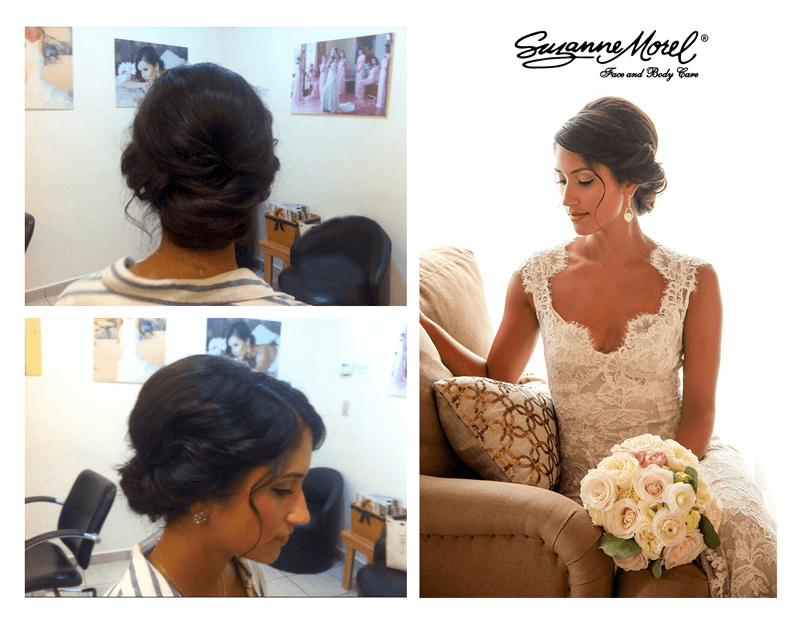 If your trial is the day of the welcome or rehearsal dinner, we can even change your look before you leave the salon so no one will see your final bridal style until the wedding day! When your wedding day arrives, Suzanne Morel Face and Body Care will be there to make sure you look and feel your very best. Each and every bride who books with us enjoys the convenience of a spa coordinator on-site. Your spa coordinator makes certain the stylists get your look picture perfect. She also keeps everything moving on time and is your personal concierge should you have any requests while our stylists are on-site. Once the rush of the wedding day is over and the guests leave town, you and your new spouse will want to relax and enjoy your time alone together. Suzanne Morel Face and Body Care can help you start off your new lives together with a romantic couples massage. 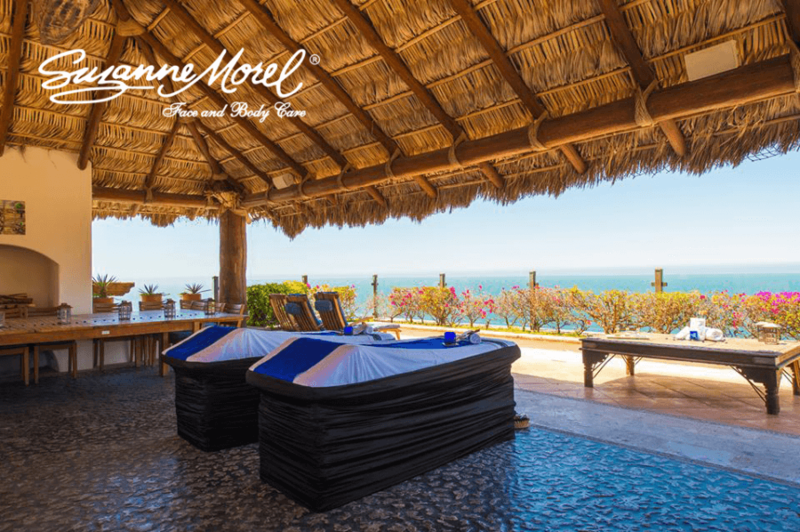 Again, we bring everything to your villa to create a tranquil, relaxing spa experience so the two of you can simply enjoy and savor the moment. If one or any of these bridal beauty services sounds like a dream come true, contact Suzanne Morel Face and Body Care! We guarantee a blissful wedding experience unlike any other! This entry was posted in Cabo Bridal Hair and Makeup, Spa Services and tagged Cabo bachelorette party, Cabo beauty salon, Cabo beauty services, Cabo bridal salon, Cabo couples massage, Cabo facial, Cabo manicure, Cabo massage, Cabo mobile spa, Cabo pedicure, Cabo spa on location, Cabo spa party, Cabo trial hair and makeup, Cabo wedding salon, Cabo wedding vendor, Suzanne Morel Face and Body Care.